Slavia plays Saturday at Bohemians, Pilsen on Sunday in Jihlava. The weekend offers other interesting fights, Ostrava hosts Teplice, Brno will be present in Olomouc. After Friday’s play in Sparta, four matches are played on Saturday, the other three on Sunday. Karvina is not doing well in Zlin, losing the last four matches including the second league. “We play against the cup player and that’s a great motivation for us. It’s not the Zlin we met before. There were five or six new players, experienced jerks like Jiráček, and the quality of the team went up sharply, “said coach Jozef Weber. Zlin is just the shadow of a team that led the league last fall. This year he did not crown in two of the three duels. “We do not start the league.The team with the new reinforcements must sit, players get bindings. It comes in time, but we do not have it. If we want to succeed against Karviná, we need to improve in the final stage, “said Zlín coach Bohumil Páník. Baník has something to repair, he got five goals a week ago in Slovácko. but he has an unpopular rival when he meets Teplice, he usually does not win. “The Teplice have a perfect, fast transition phase after the ball, they work well in the defensive, and we definitely have to pay attention to Fill, which is very dangerous. It’s not just him, of course, but he’s a difference player.We want to show ourselves in better light than in the Slovak Republic, “says Ostrava coach Radim Kučera. Derby of neighbors from one of Prague’s districts, whose stadiums are divided by only two tram stops. A duel of unbeaten teams, which surprised Bohemians. 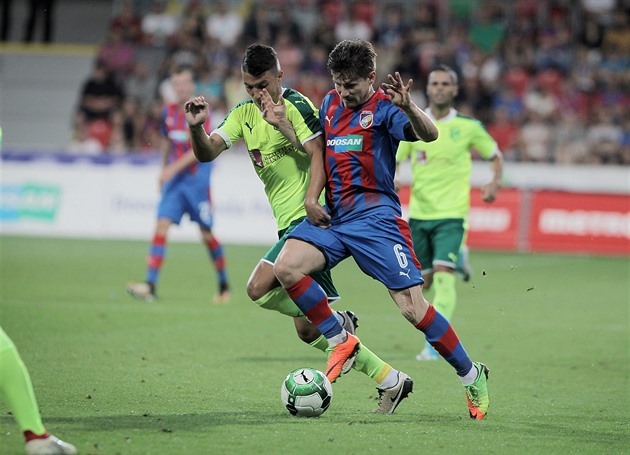 Likewise, they are quite successful against Slavia – they have missed 1: 3 for the last time, but scored in the previous five scrolls. “It is a derby, the players are looking forward to. It is clear that in a match with Slavi, Sparta you go a little differently than against other opponents. Celebrities have high players, practicing the power of the game. I doubt they would change it at once. They use forces in balls, centers. In this way, the games defeated us in the spring.I believe that this time we will put more resistance, “said domestic coach Martin Hasek. Slavia continues to hold the league invincibility under coach Shilhavy, has not won 29 matches since last September. The defeats, however, have already picked up two of them this year, two in the frontline of the Champions League. That second Tuesday in Nicosia can be remedied on Wednesday in revenge. “Bohemia always has a grace. The stadium will be full, we are looking forward to it. We will, of course, make some changes because our priority is to retaliate with APOEL after the weekend. However, I do not want to say that we would go out to Bohemia, “commented the coach Jaroslav Šilhavý. Boleslav has only one point, Liberec won the Sparta. “We did not have to enter the league, we must forget about it and finally win and make the most of it.This will be done by avoiding individual defects in the defensive, which have devalued our efforts so far, “said Boleslav general sports manager Dušan Uhrin younger. ” I hope the Sparta match will be such a positive kick. We have the most young team in the league, which also means that some performance fluctuations can be expected. Just look for a comparison of matches in Olomouc and Sparta, “said Liberec coach Jindřich Trpišovský. Jablonec did not win this year, he added home defeat with Pilsen to two draws. We can no longer look only at beauty, but we have to get three points.In a few weeks, no one will look at whether we played nicely, but look into the table, “said Zdeněk Klucký, a Jablonec coach. Dukla after two defeats outside in Pilsen and Teplice last took home at Zlin. “After the win over Zlín we were relieved. It was a good step to work more calmly in the week and prepare for another match. Jablonec showed very interesting game play at the start of the new season. He succeeded in replacing the departure and now strengthened Stanislav Tecle.We will have to play very carefully to eliminate their combination, “commented visiting coach Jaroslav Hynek. The last against the first, big favorite is Pilsen, which won the last five matches over Jihlava. “We played on Slavia, now we have Pilsen, very lean lot at the beginning of the league. It is unnecessary to emphasize who is a clear favorite. We will try to avoid the stupid mistakes we paid for Slavia with two cheap goals, “Jihlava coach Ivan Kopecky said. “Jihlava is in a situation where he will definitely want to score a lot and play ahead. Certainly a challenging match is waiting for us. We can not underestimate any match.We know what we are playing and that any loss can then be painful. From this point of view, the struggle in Jihlava is as important as the European Cups, “said Pavel Vrba, a Pilsen coach. Olomouc, after a brave battle, succumbed to Plzeň but left a great impression. As in the previous duels in Boleslav and Liberec. “Brno did not start the season as expected, but it does not change the fact that we are facing a very demanding and dangerous rival.I believe that if the team re-works as against Liberec, we can be successful, “said Olomouc coach Václav Jílek. On the contrary, Brno has only one point for a no-draw with Bohemians. “We would like to take a look at the performance and preparation of the previous match against the Bohemians, in which we got the first point. Olomouc performs an attractive game and reaps success. The match has a derby element, I expect a great viewing experience. Our goal can only be a point gain, “said Brno coach Svatopluk Habanec.